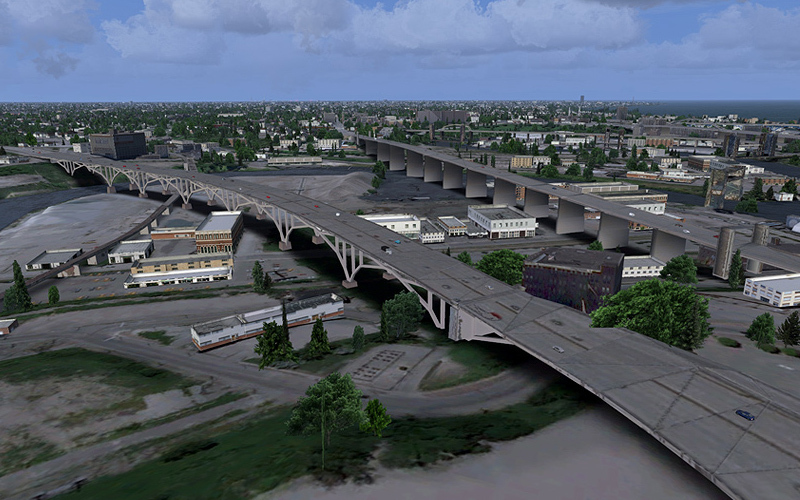 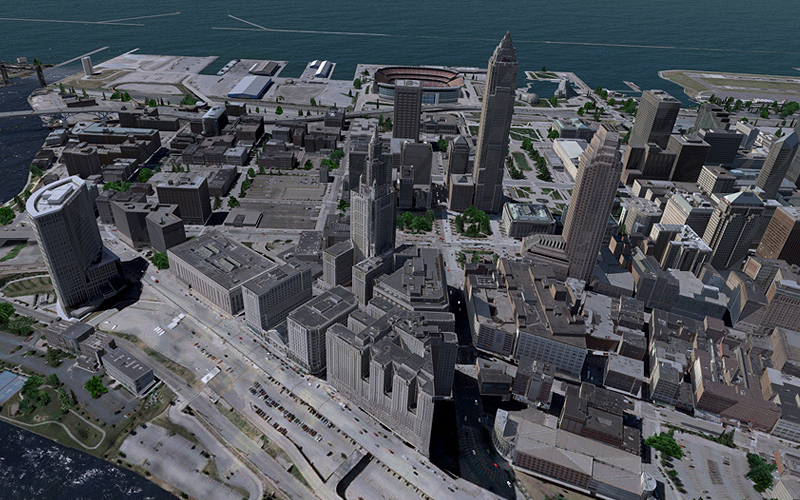 Product information "US Cities X - Cleveland"
From an aviation point of view Cleveland is the most thrilling city in this series so far. 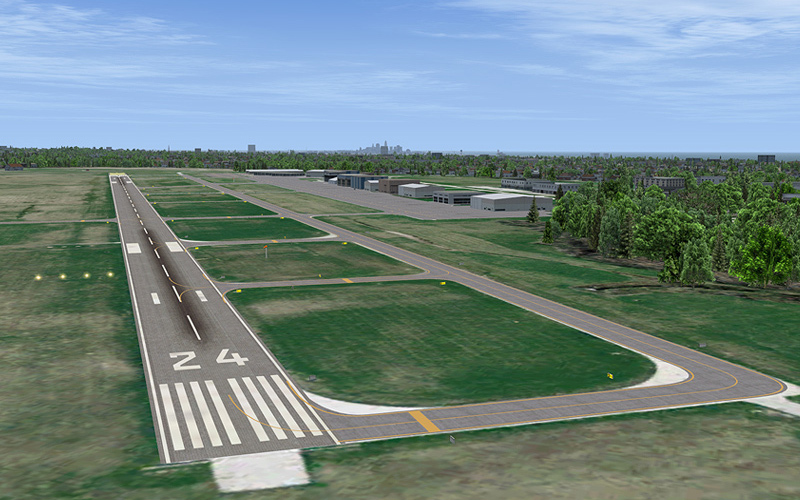 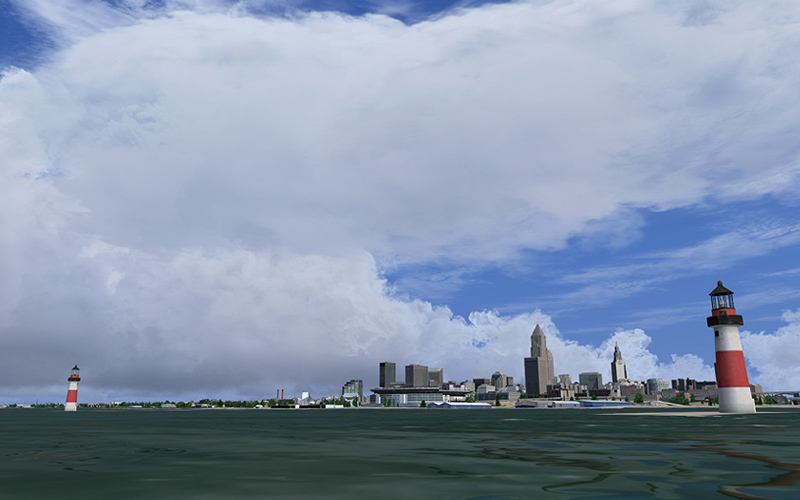 Take off from one of the last downtown airports in the US and test your abilities as a pilot doing some island hopping on the Lake Erie Islands. 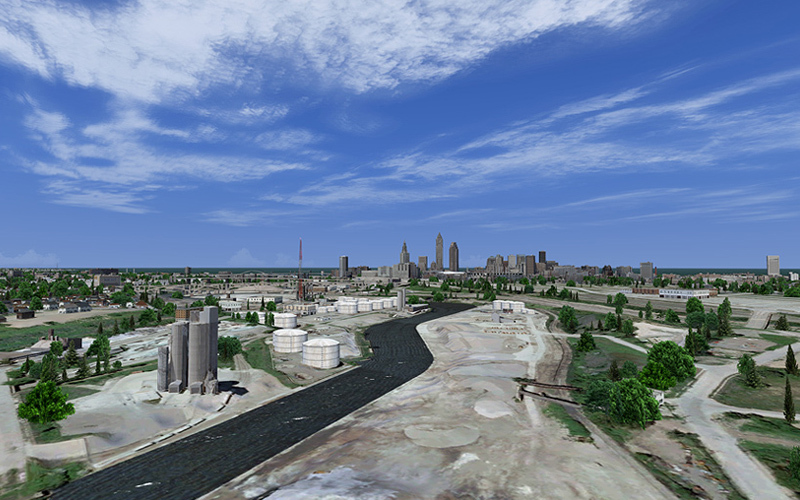 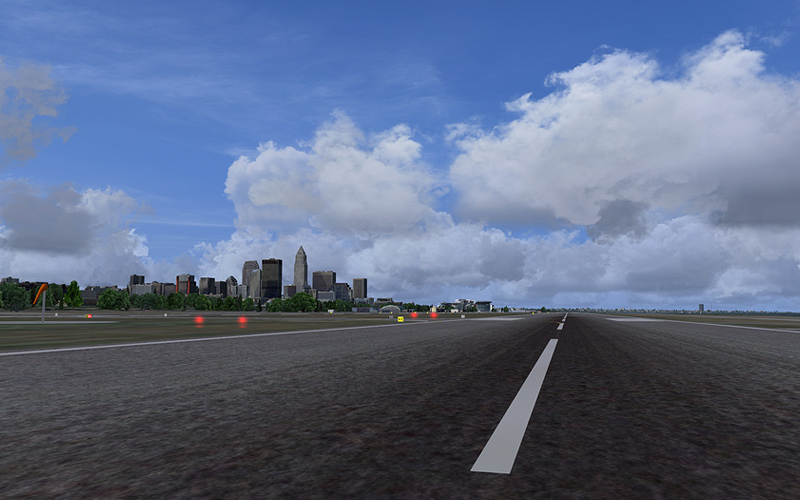 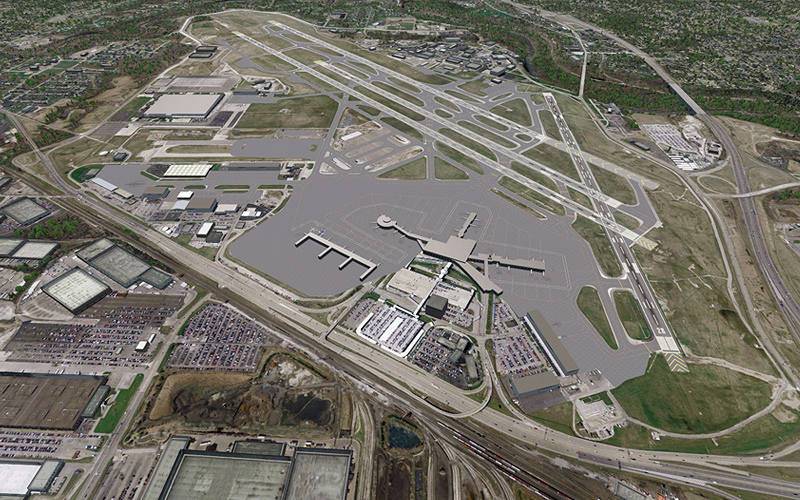 For pilots Cleveland is among the most fascinating cities in the US. 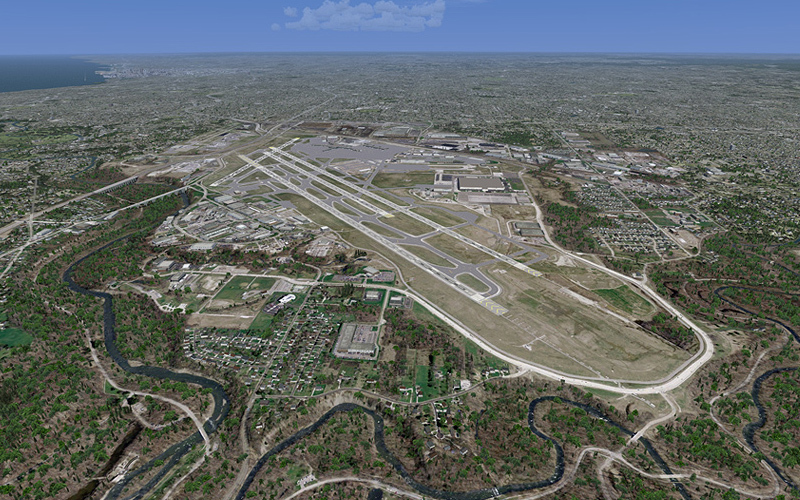 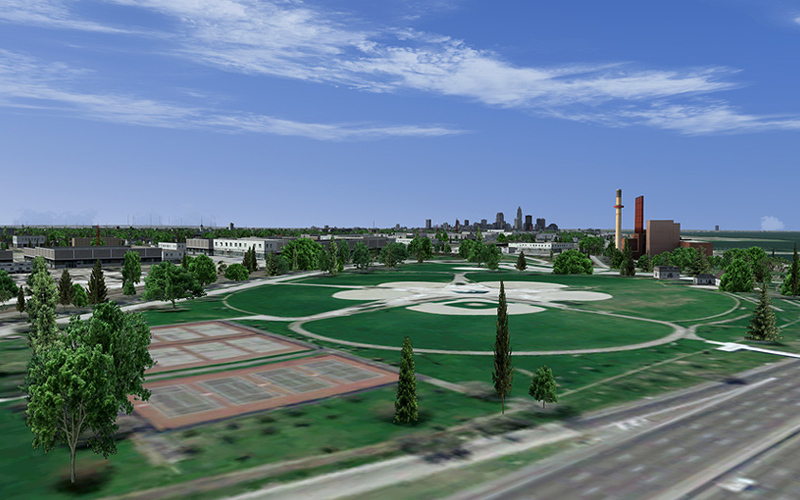 Unlike Chicago it still has a Lakefront airport that is so insanely close to downtown that an approach there offers quite a lot for your eyes. 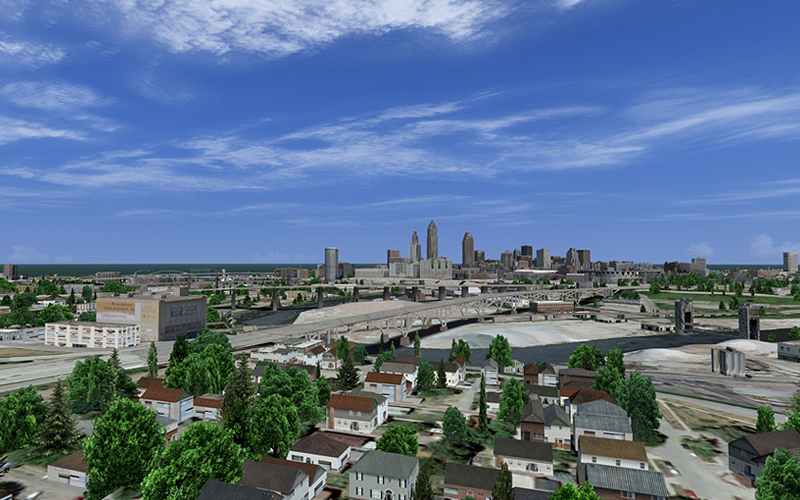 Let it be the Browns Stadium, the Science Museum's wind turbine or the Lakeshore Power plant that are just a few feet from the glideslope or the stunning views at those skyscrapers and many bridges crossing the Cuyahoga River. 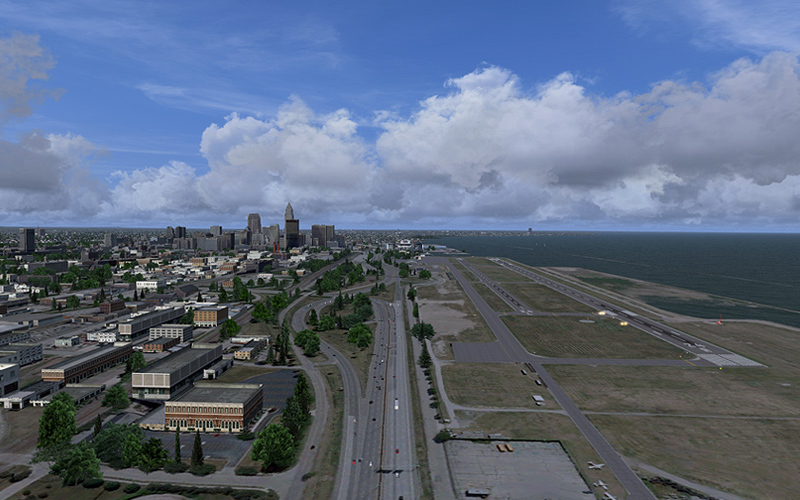 Last but not least the Lakefront Airport is well-known for the annual Cleveland National Air Show that takes place there. 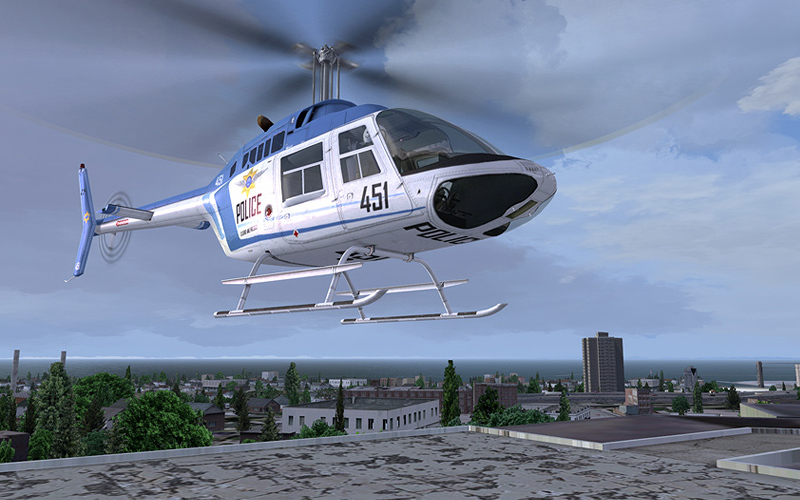 Of course that's not all. 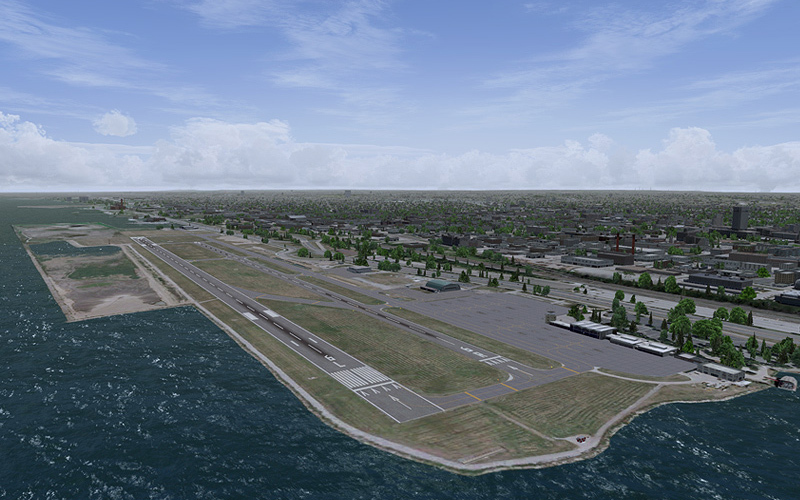 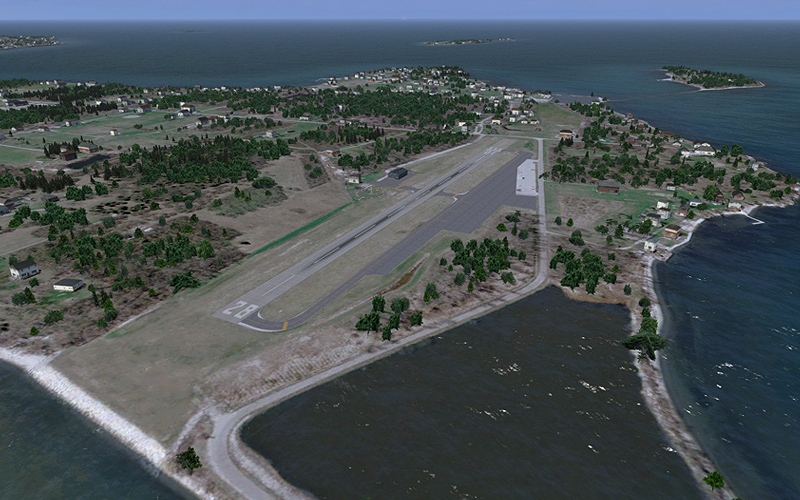 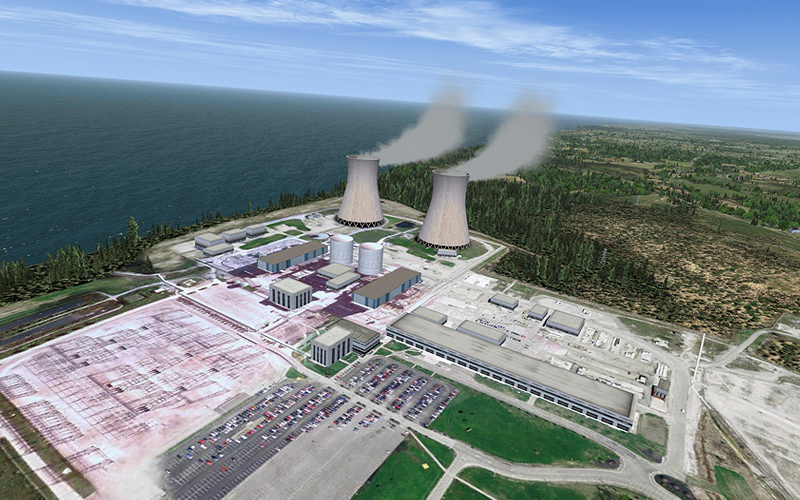 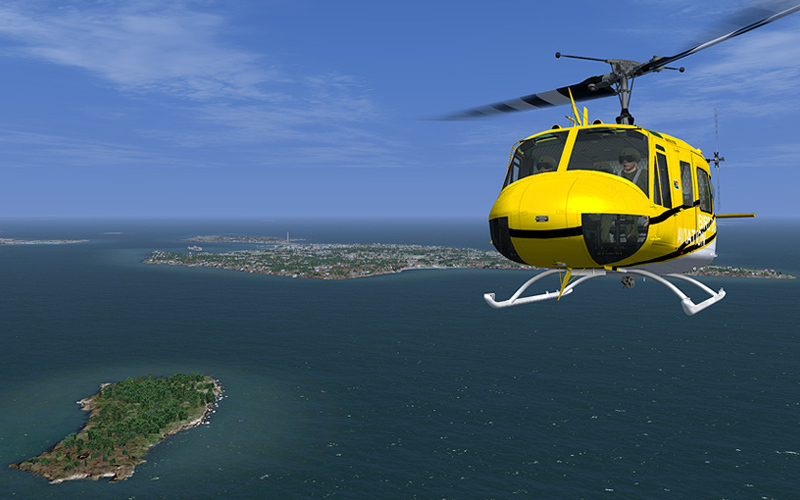 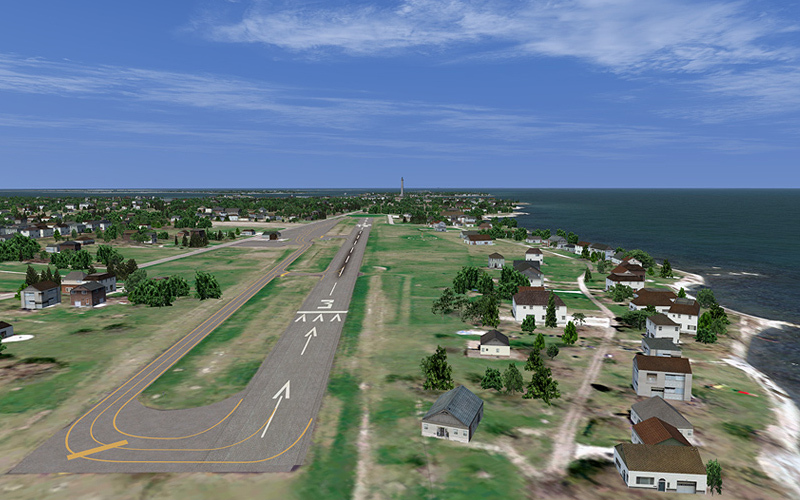 As with most other US Cities again we have added some more bonus content like Perry’s Nuclear Power Plant to the east (a perfect waypoint for flights from the Niagara/Buffalo area) plus a complete island hopping scenery of the US Lake Erie Islands, of which most have their own airports in various sizes. 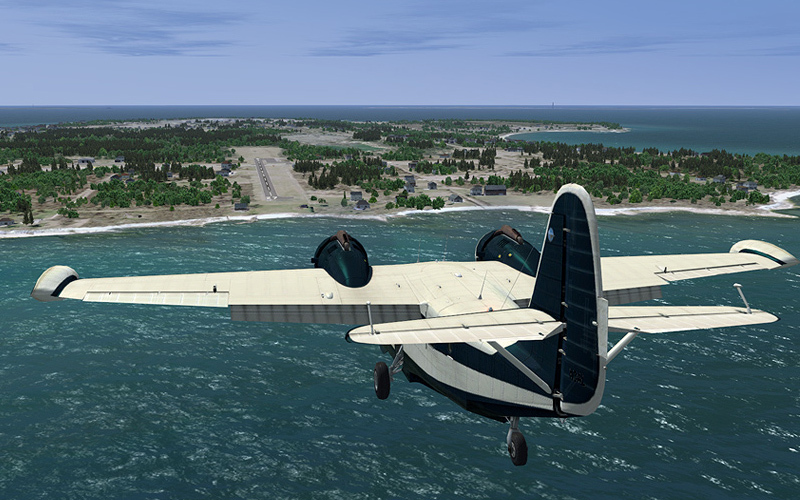 The islands are also a nice stopover for flights from Chicago or a touristy holiday destination during the summer months. 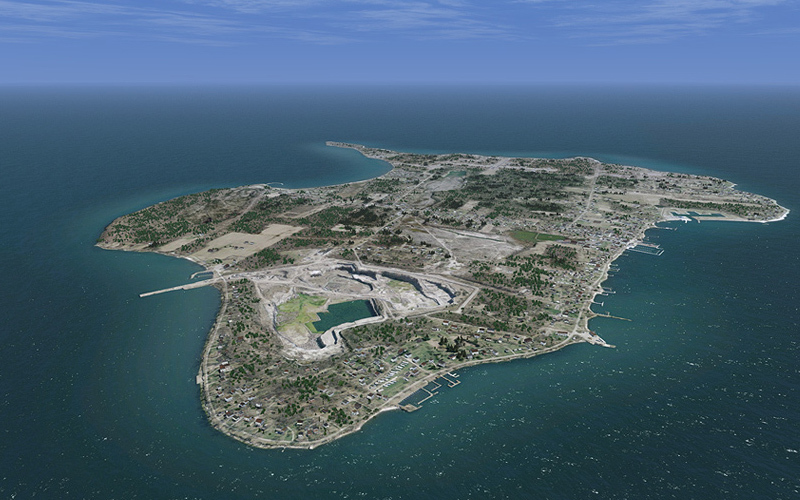 They are featuring a massive 315 feet tall peace memorial overlooking the islands. 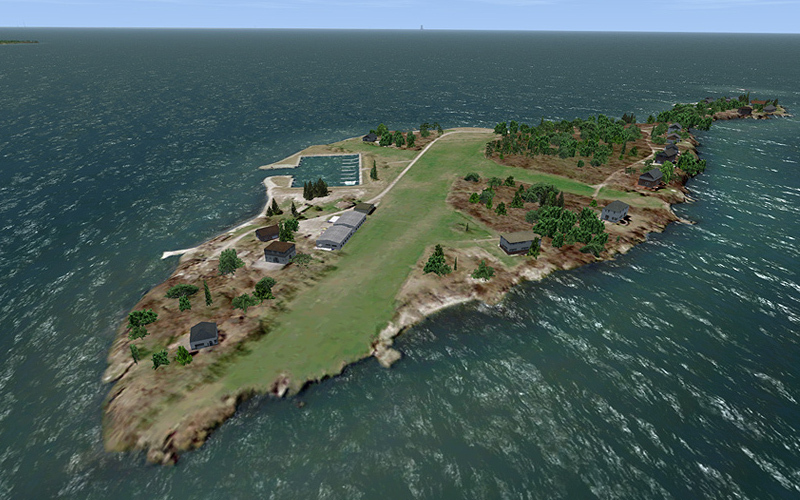 Bonus: Complete island hopping scenery covering the US Lake Erie Islands! 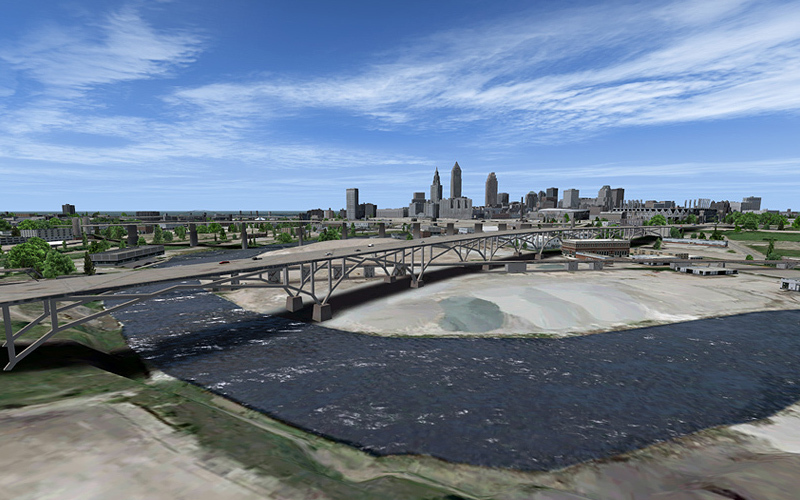 Related links to "US Cities X - Cleveland"